Sometimes winter weather is not just pure white snow. Periodical thawing makes us jump over puddles and hurry home, where we expect to find warmth, coziness and cleanliness. To leave all the street mess behind the door and enter a tidy hallway, we absolutely need a good door mat. 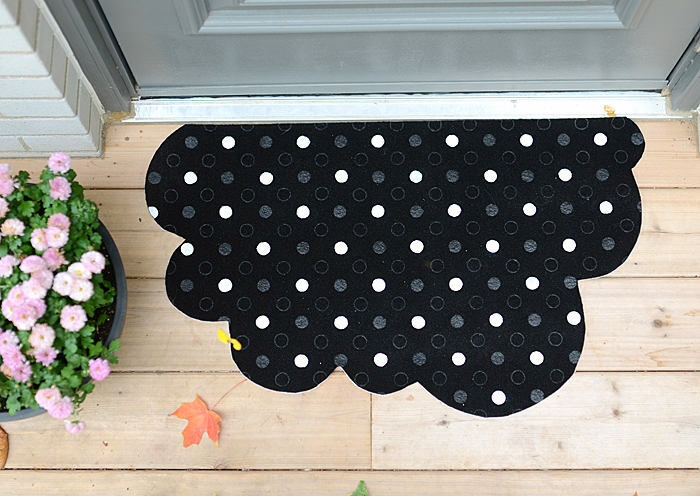 Today’s DIY will tell you how to turn a plain IKEA’s “TVIS” door mat (3.99$ on ikea.com) into an original cloud-shaped designer piece, that would both save your house from dirt and cheer you up each time you come back home. The process is pretty easy. All you need is a TVIS mat, sharp scissors, a piece of cardboard (a little bigger than the mat size), a chalk and a white paint. Firstly, draw a beautiful cloud on the cardboard. Cut it out – it will be a template for your future mat. Then outline the cloud on the back side of the mat using a chalk. 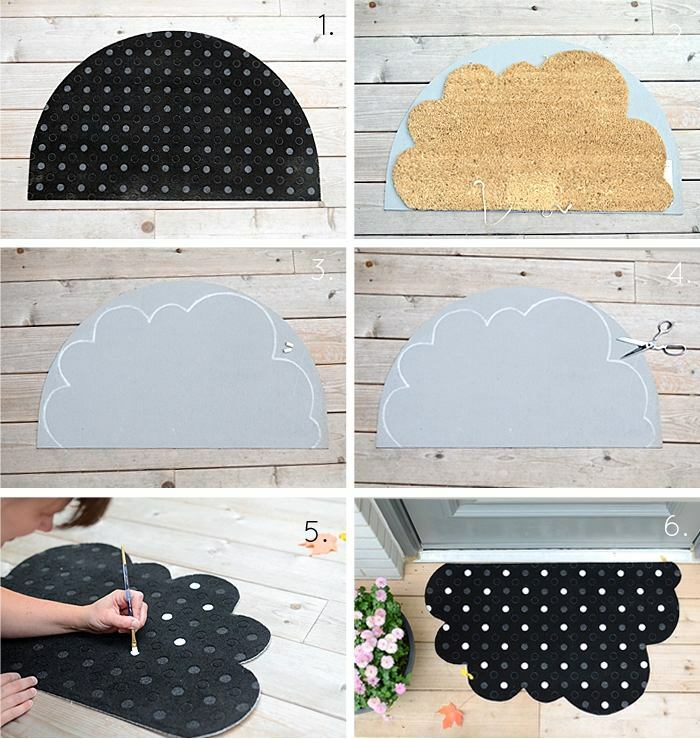 Cut out your cloud-mat with sharp scissors. The mat is almost ready. Just dress it up a little by painting the dots pressed into the mat. That’s it! Now your porch is protected from mud and generates positivity! 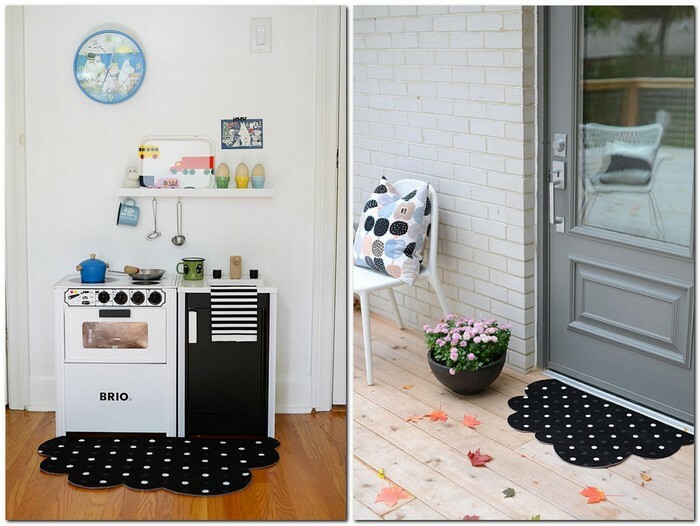 Such a mat can be optionally used outdoors, in the entry room or in a toddler room. For example, beside a play kitchen or a doll house.